Windows Search has improved a lot in recent years: it’s faster, uses less resources, has more query options. 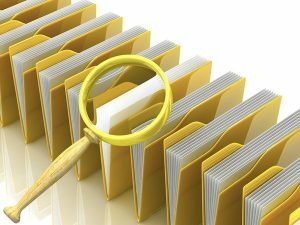 If the technology still doesn’t deliver the searching power you need, though, it might be worth considering the open source, Java-based DocFetcher as an alternative. The program’s advantages start with its indexing controls. Rather than crawling an entire drive without asking, DocFetcher allows you to choose what you’d like to search: a folder, an archive, even an Outlook PST file. And limiting scope this way helps to cut indexing time and improve the relevance of search results. DocFetcher can index all the main document types: Microsoft Office formats, OpenOffice.org files, PDF, HTML, plain text, RTF, Abiword, SVG, VSD and more. There’s Unicode support for just about all these, and the program can locate your files in most archive formats (ZIP, 7Z, RAR, TAR. *, even if they’re nested – a PDF in a RAR in a ZIP, say). And when you need to search for something, you’re not restricted to simply entering particular keywords. DocFetcher also supports AND/ OR/ NOT constructs, for instance. You can run “phrase searches”, or use wildcards, fuzzy searches (return documents with similar matches to your keywords), even proximity checks (find words that are within a given distance of each other). None of this will be much help if your searches start returning hundreds or thousands of hits, of course. But DocFetcher can help here, too. Use the boost option in a search -- apple^4 or orange -- and you’re telling the program that “apple” is a more important keyword, and documents containing it will appear closer to the top of your results. And if you’d like to take your search tool around with you, then the good news is that DocFetcher runs happily from a USB stick on Windows, OS X or Linux (as long as you’ve access to a Java Runtime Environment 1.6.0 or higher, anyway). While the program isn’t too difficult to use, unsurprisingly figuring out the fine details of how everything works will still take a while. If you’ll make use of its searching power, though, it’s well worth investing a little time in learning the DocFetcher basics. The program is a powerful tool with a comprehensive query syntax which will make it much easier to locate the documents you need.